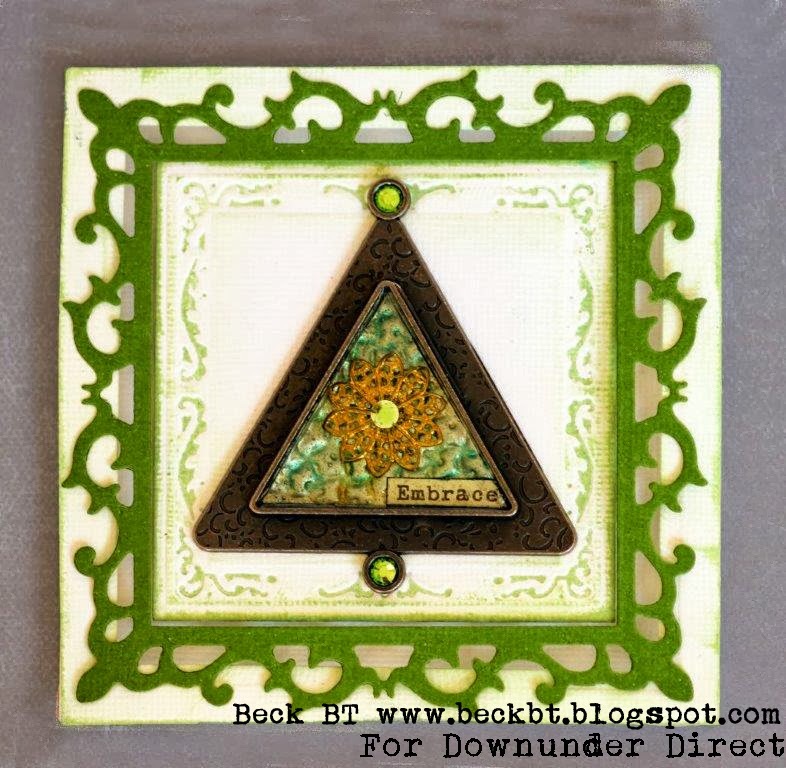 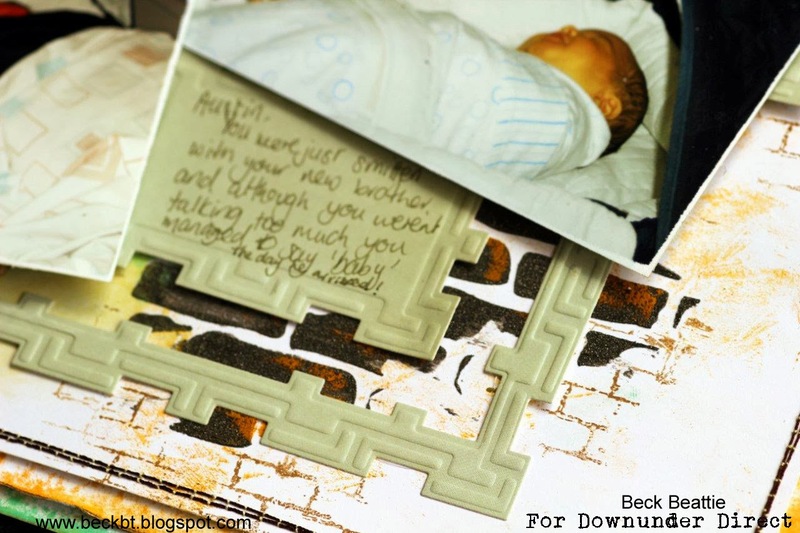 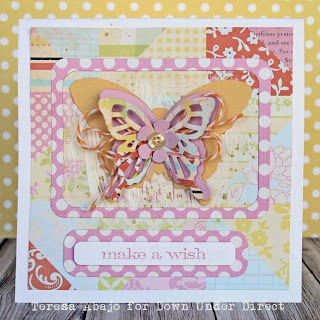 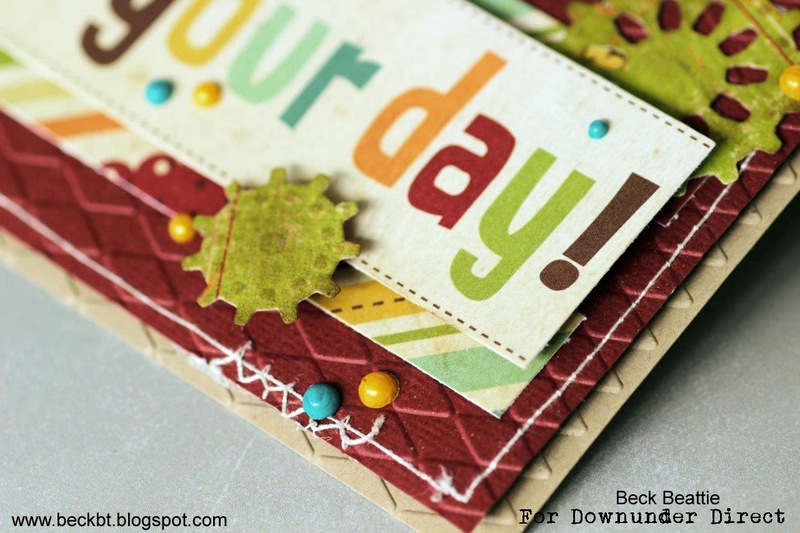 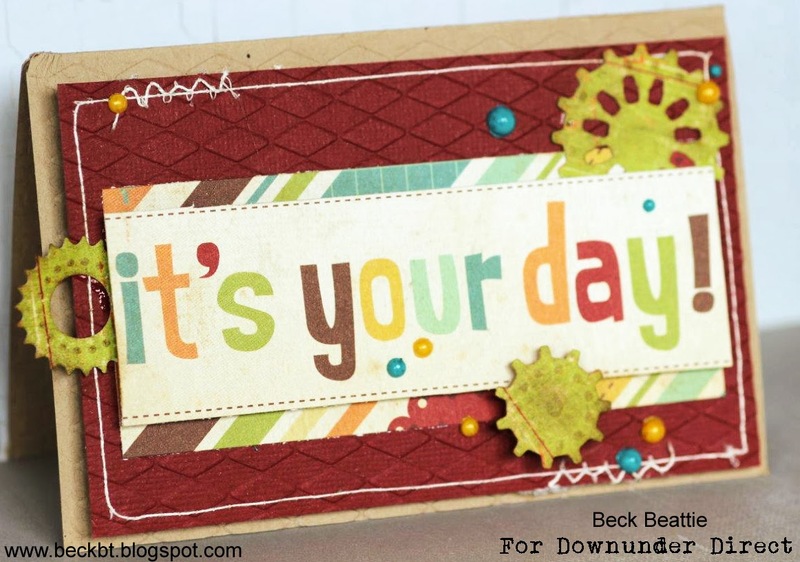 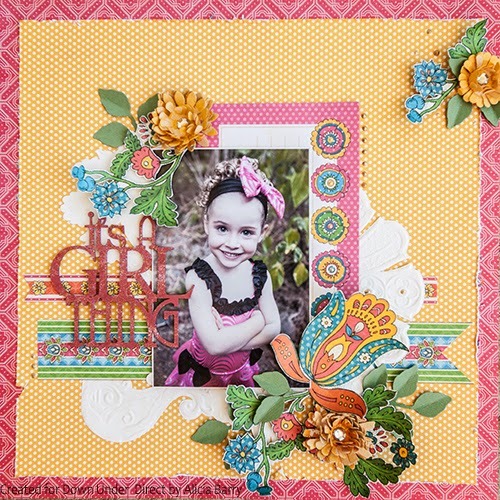 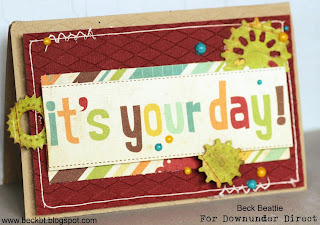 Here is another layout by Beck that shows the versatility of plain cardstock. 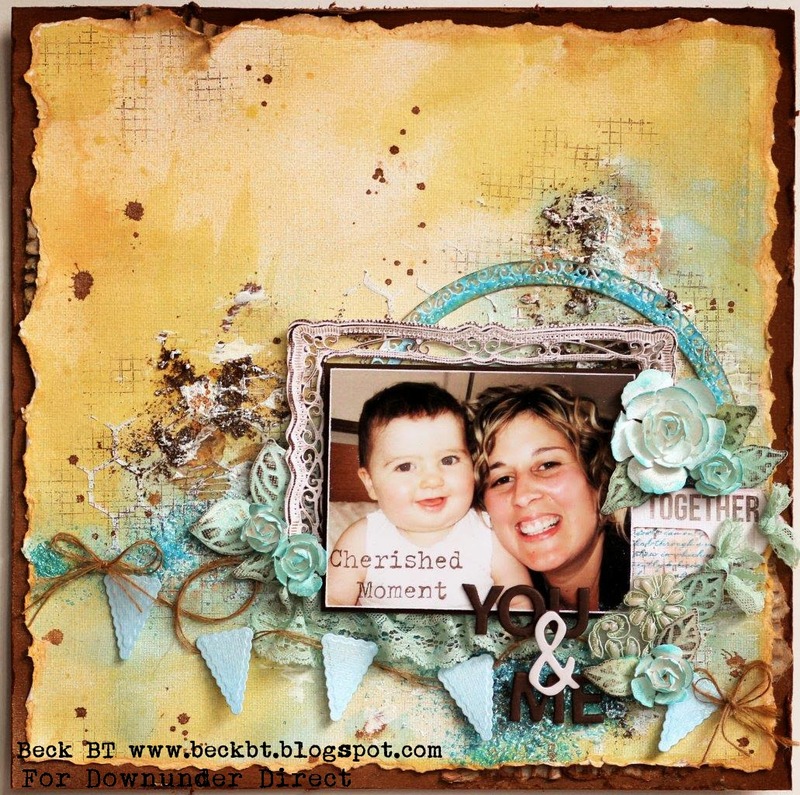 This mixed media layout shows just how much you can do by mixing things up and adding your own colours to compliment your photos. 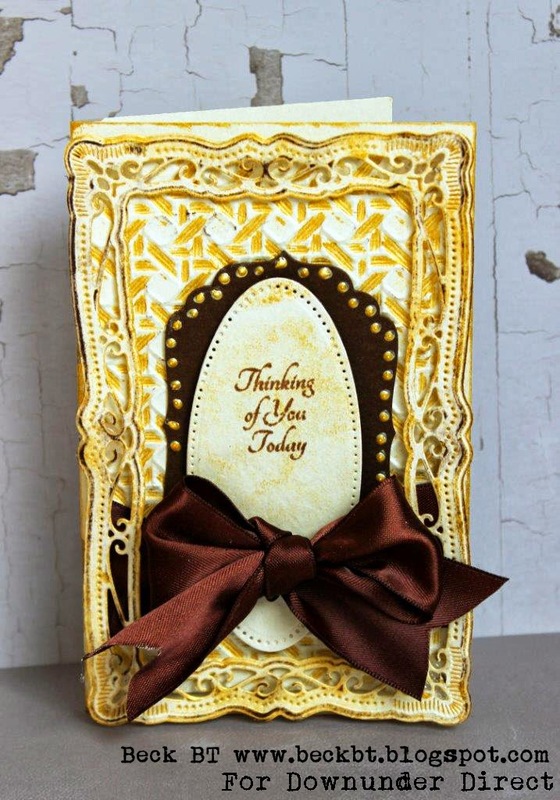 People tell me all the time that they have trouble making cards for men. 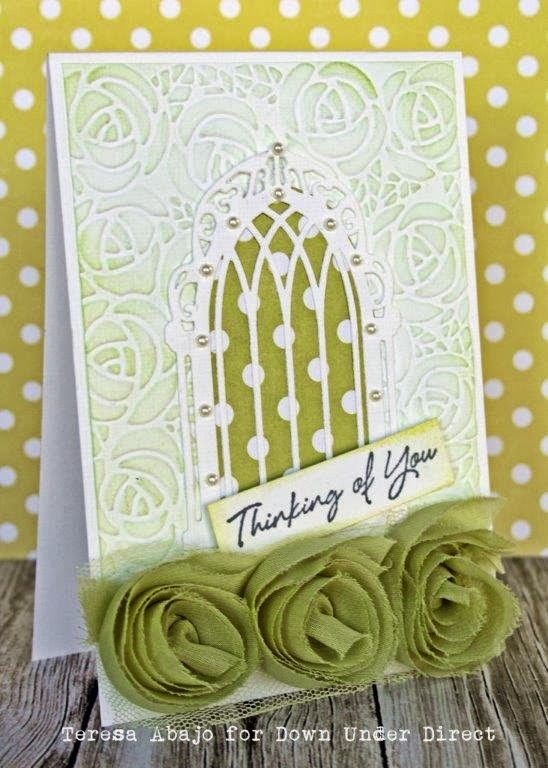 So here's an any occasions card to spark some ideas. 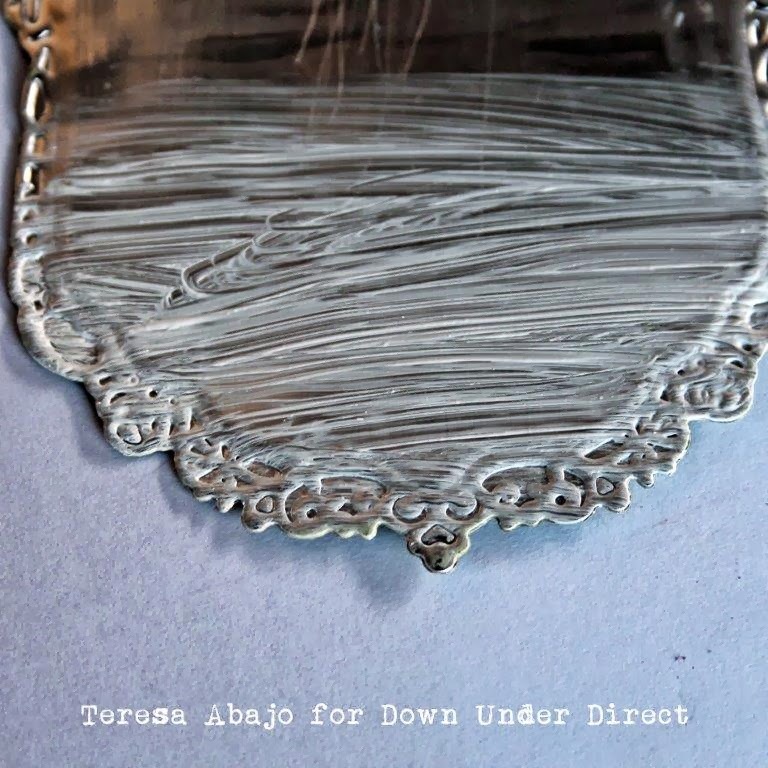 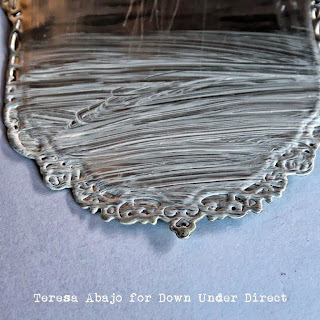 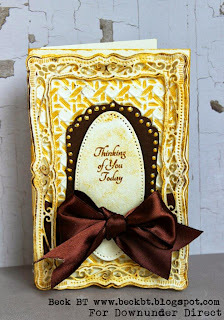 Think about embossing instead of using patterneb paper all the time for your cards, this adds interest and texture to this card. 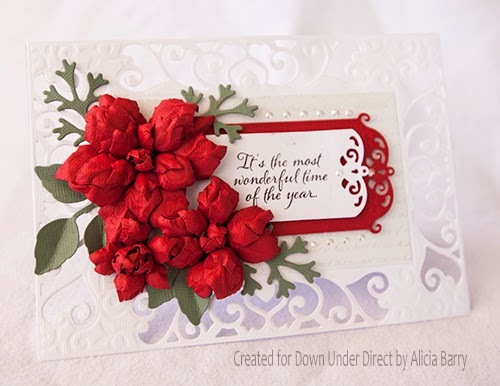 It's time to start thinking about making some Christmas cards so today we have a lovely Christmas card from Alicia to inspire you. 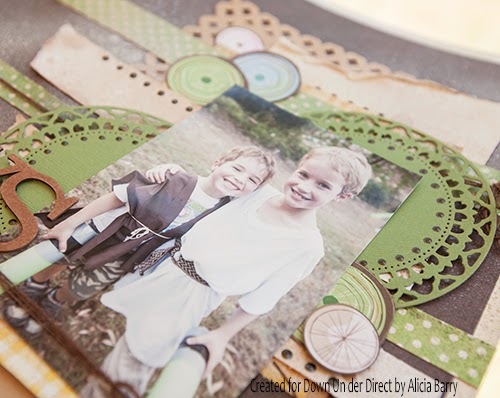 Today we have a nice boy themed layout from Alicia. I collect stamps, but not in the traditional sense. 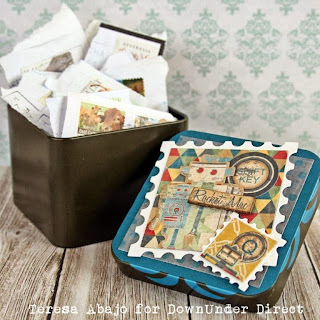 I collect used stamps to pass on to a charity called Rotary, who sell the stamps to raise money for special projects like installing water pumps in India so that residents can have clean water. 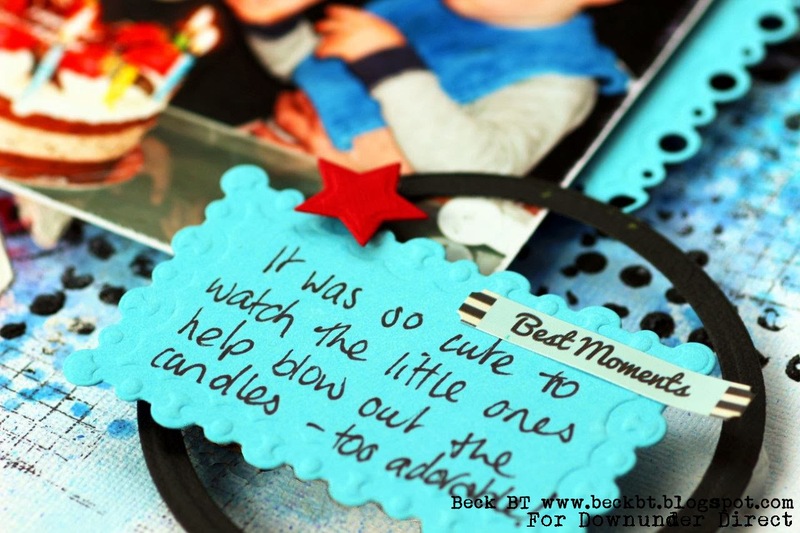 It's a small thing for me to do but it makes a huge difference to someone else at the other end. 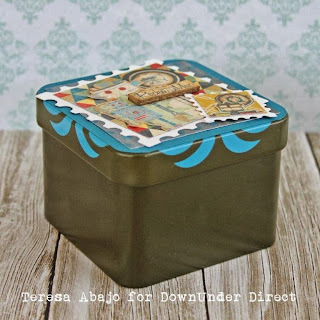 Anyway, I needed somewhere to keep the stamps, so I found an old watch tin and decided to alter it. 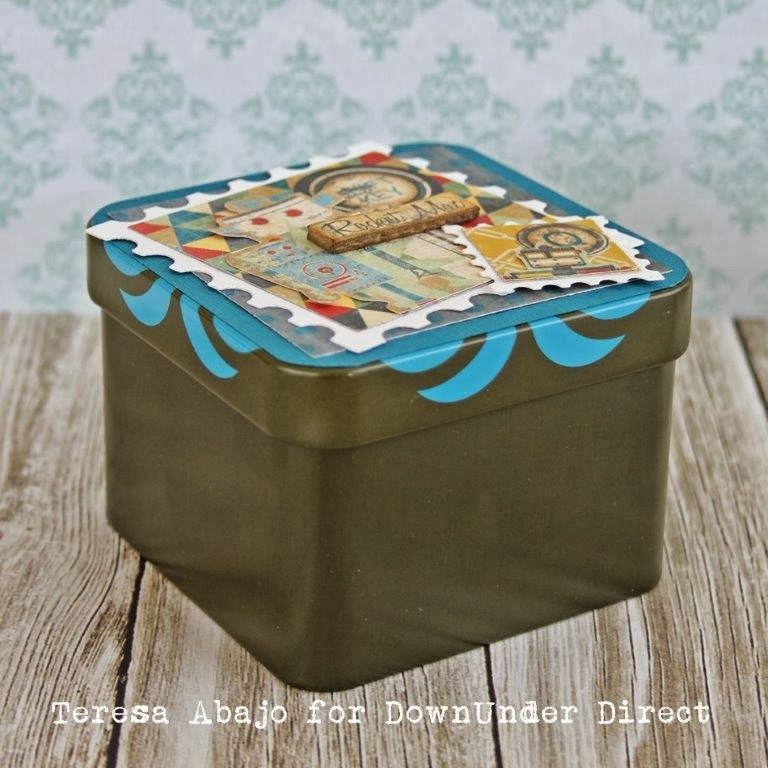 There's no mistaking what this tin is for now! 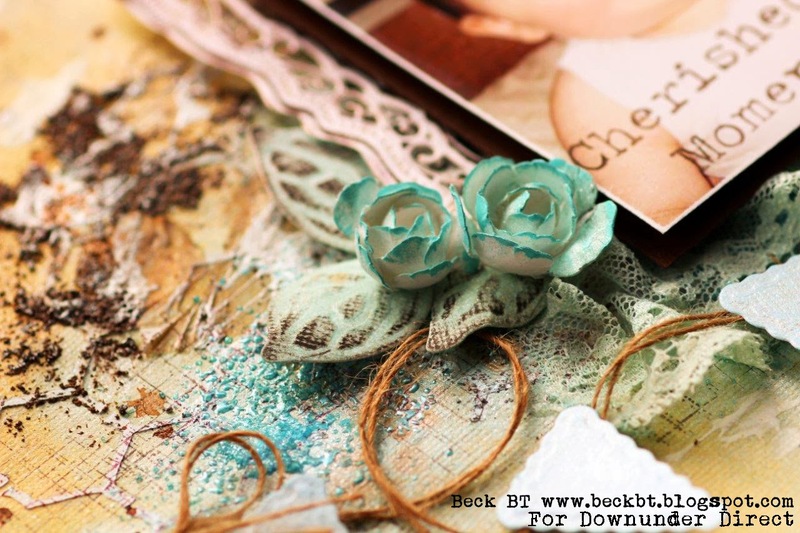 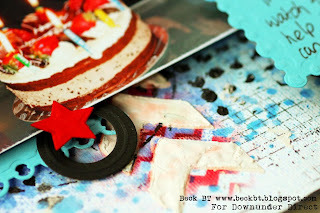 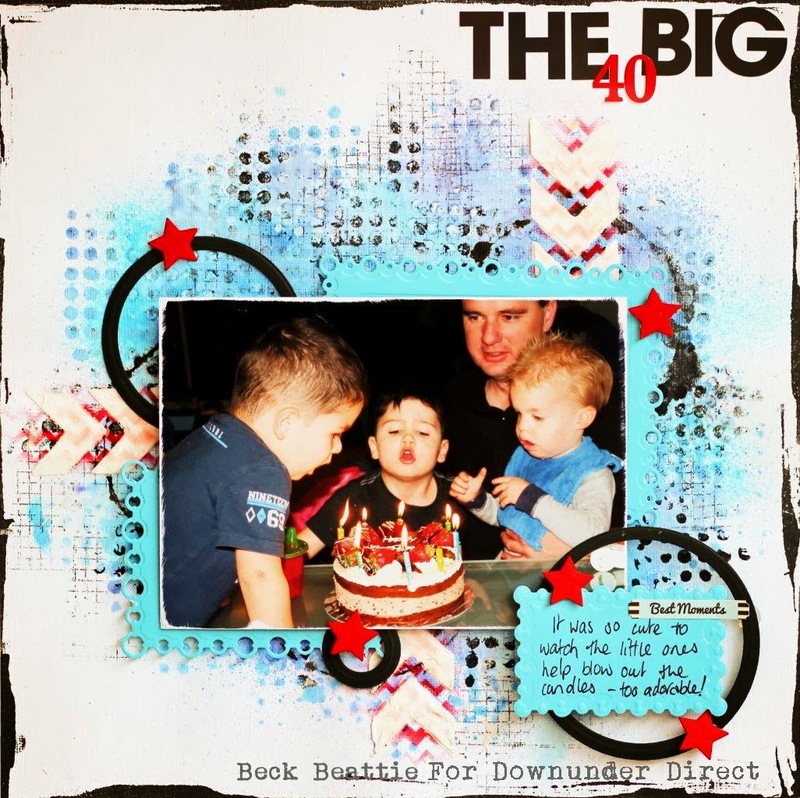 This layout was created with all white Bazzill cardstock coloured up to different colours – who would know? 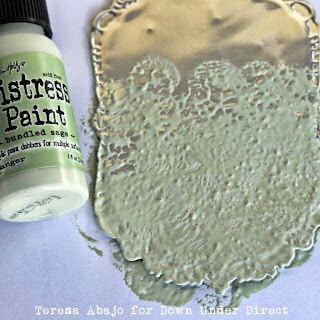 If you don’t have the perfect coloured paper or cardstock, use paints, sprays, ink pads, embossing powders etc to add your own colour matching in perfectly with your project. 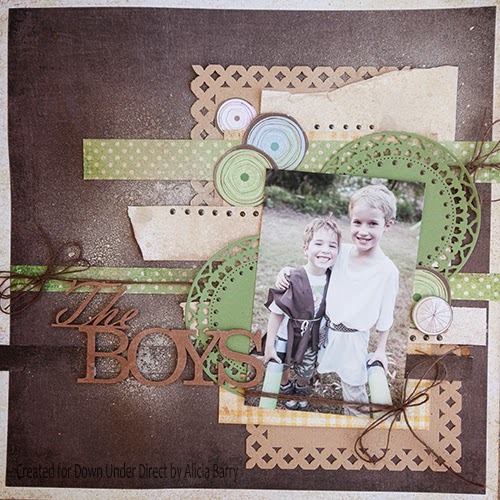 I used a number of mixed media products including sprays, Tsukineko/Imagine Crafts Goosbumps, stamping with various background stamps and texture paste with stencils to create the background for this layout. 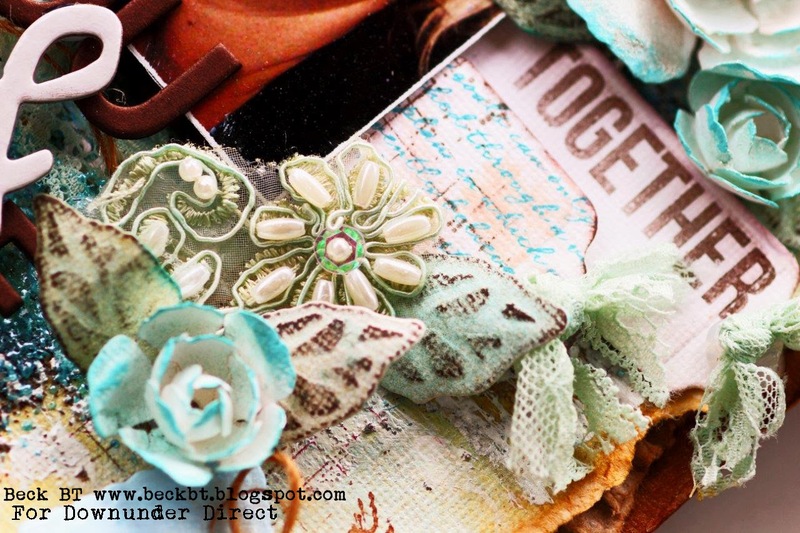 By layering the different products you can achieve a great deal of interest. 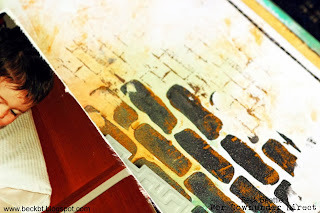 Cut the shape using Gold Labels Four, and give it a coat of gesso. The rougher the better, as it all adds texture to the finished product. Using the Distress Paint dauber, apply paint using a pouncing action. 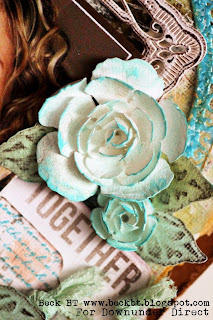 This also adds texture. 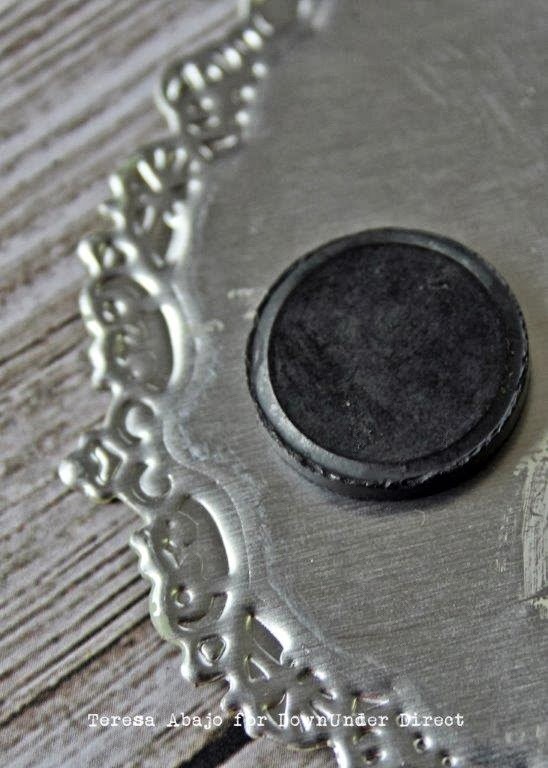 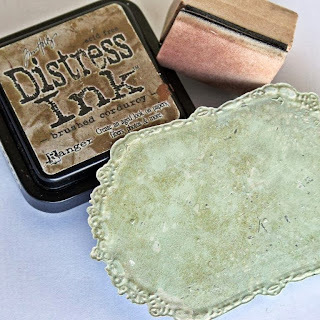 When the paint dries (it can be sped up with a heat tool), apply some brown ink with a sponge. 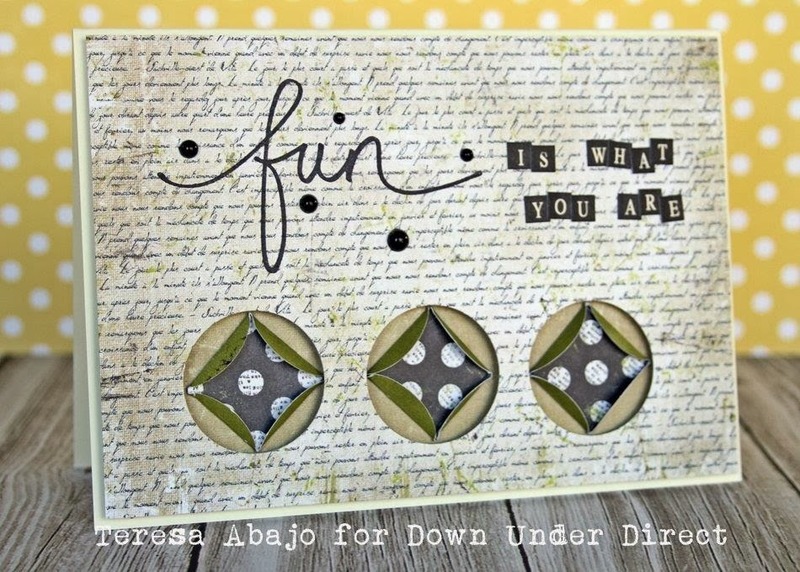 Adhere a magnet to the back. 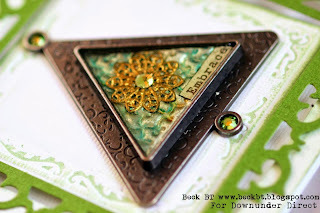 Embellish the front. 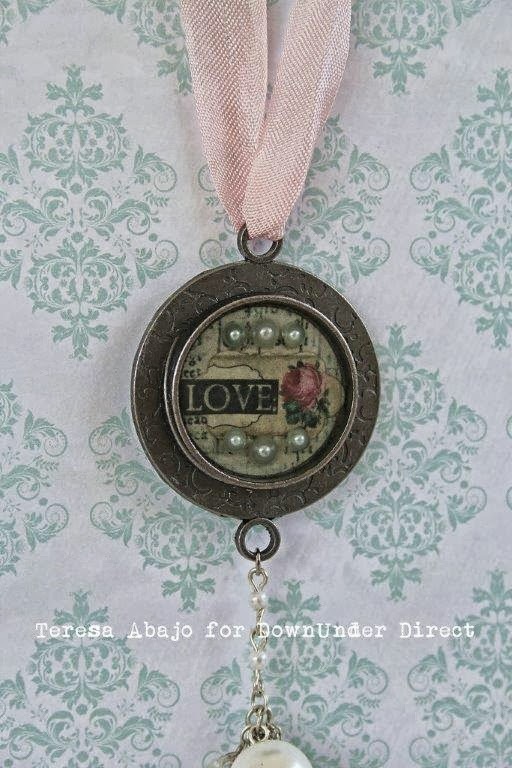 Here I have used words from a sheet of KaiserCraft paper, a seam binding bow and a decorative pearl button. 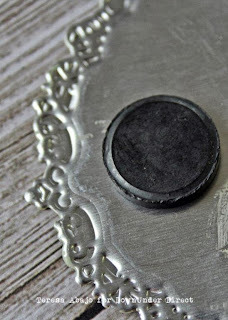 It will now attach to a metal surface, such as this beautiful tin from Ikea as seen in the main photo. 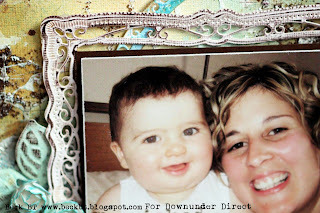 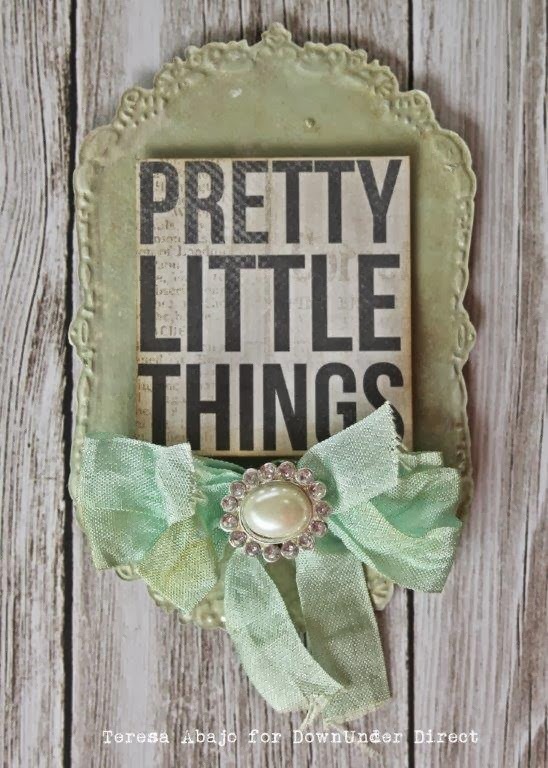 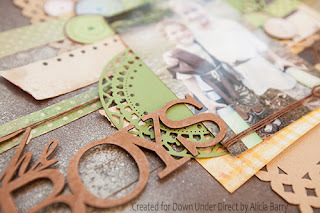 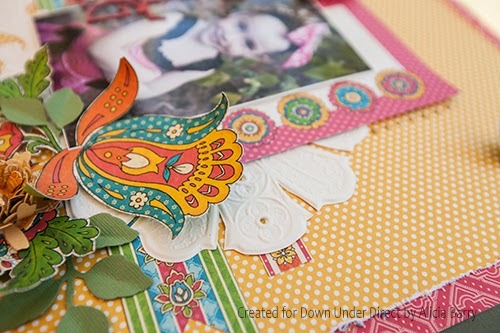 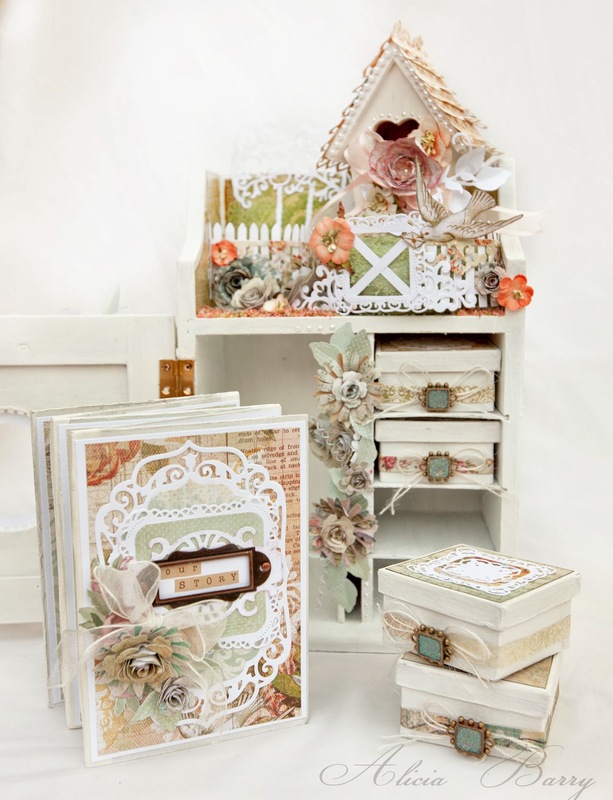 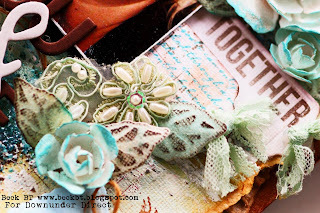 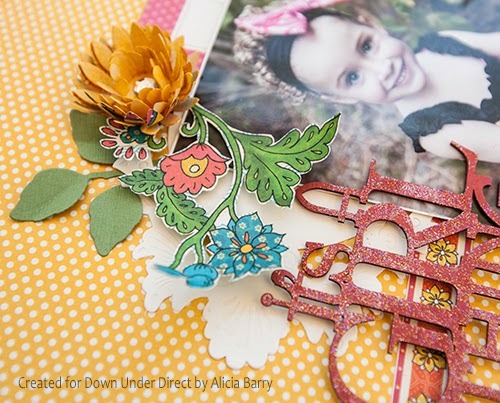 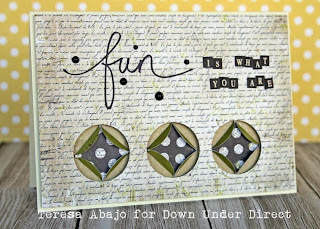 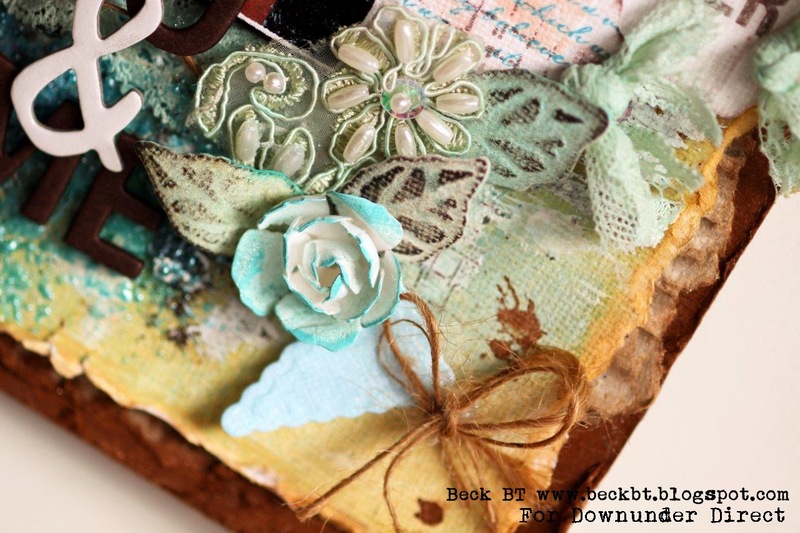 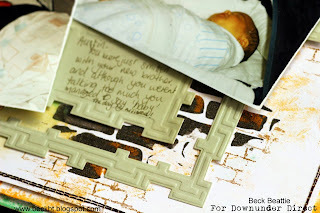 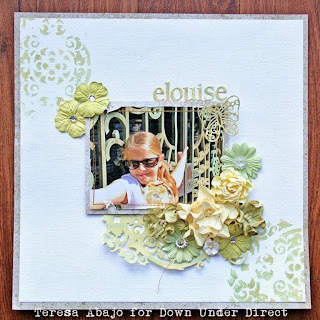 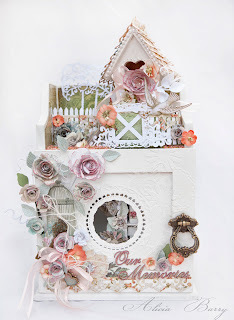 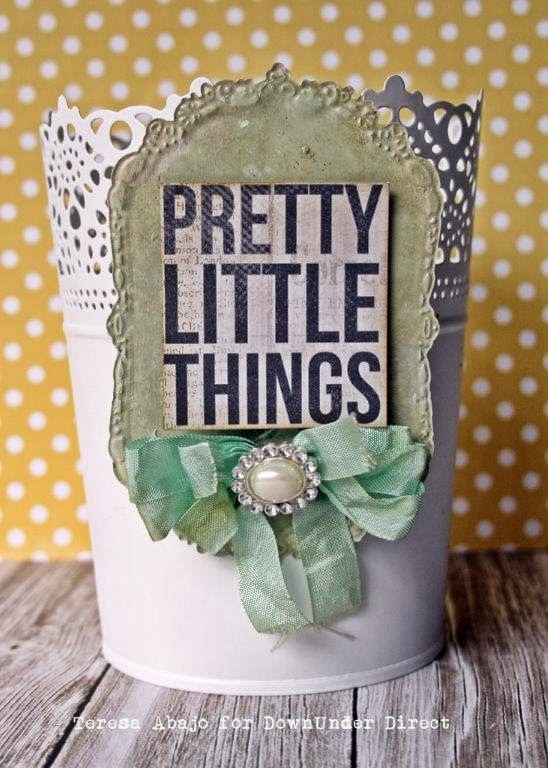 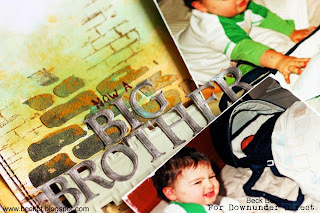 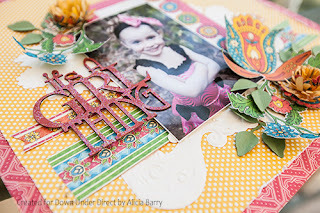 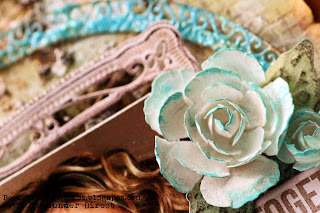 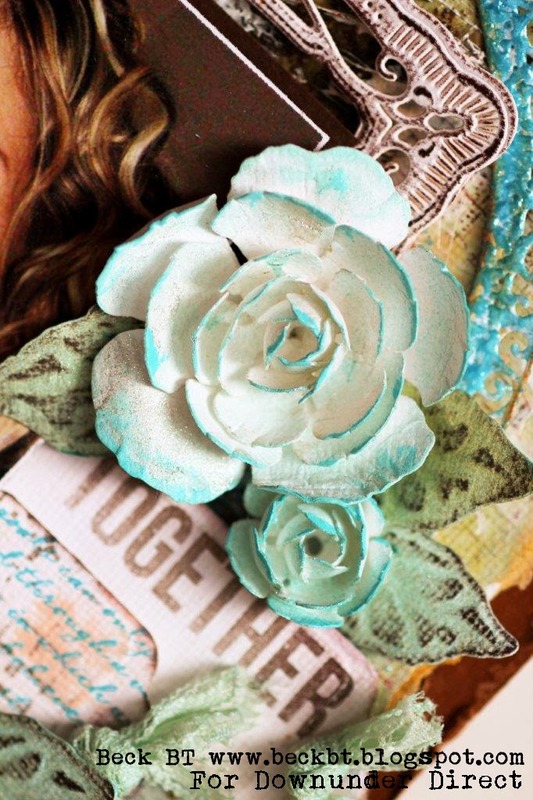 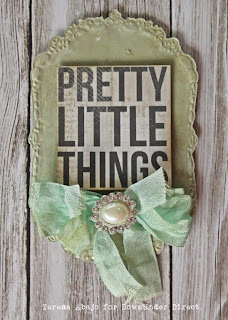 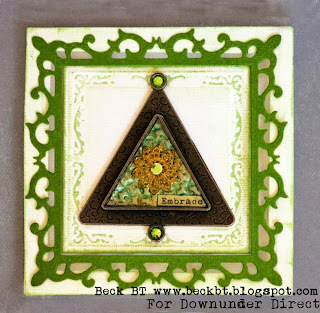 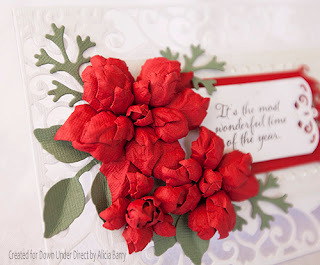 Today we have a gorgeous off the page project from Alicia. 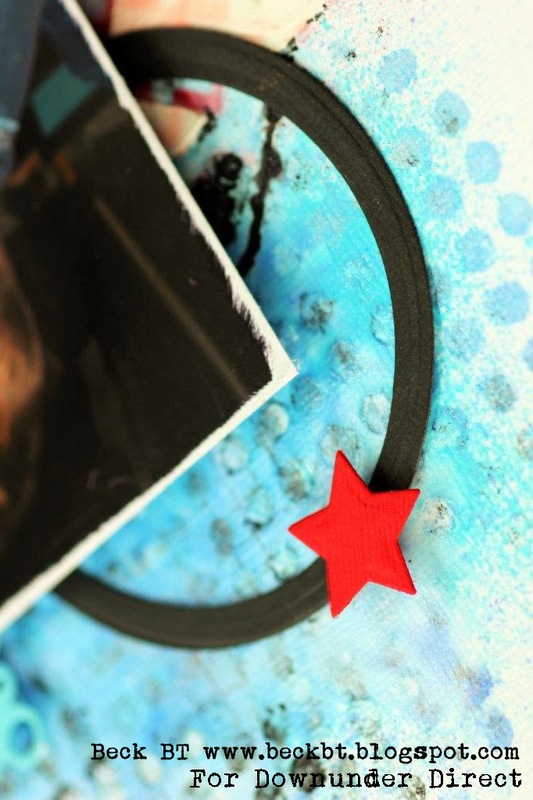 The ready-made bezels from the Media Mixage range make jewellery making so easy. 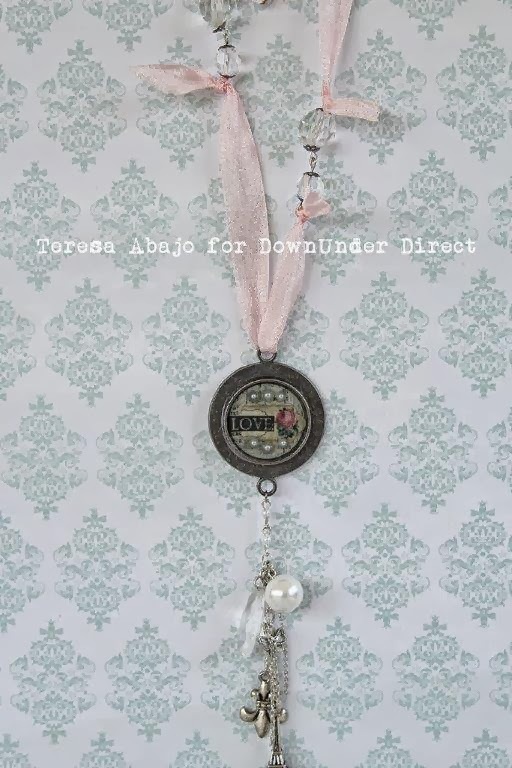 Here's a necklace I made using some patterned papers, seam binding, bits and bobs from broken costume jewellery and some Ice Resin. 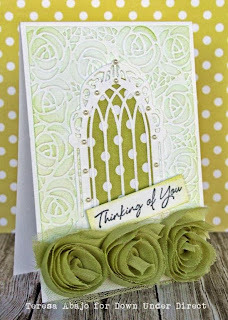 I am quite chuffed with the result, and can't wait for an occasion to wear it!